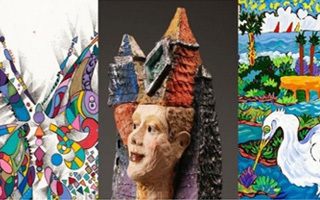 San Diego has a very diverse culture with one of the most vibrant art scenes in America. It boasts everything from Opera and Jazz to two Tony Award-winning theaters. With so many options including several annual art festivals, it can be easy to miss something. 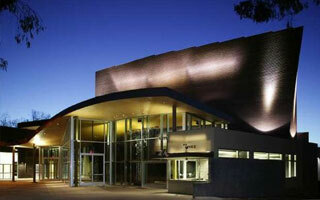 Located just a short drive from the rental, on the campus of UCSD, La Jolla Playhouse has earned its place in the international theatre scene. The Playhouse’s brilliant and innovative productions of classics, new plays and musicals, including 66 world premieres, 40 commissions and 37 American or West Coast premieres, have merited over 300 major honors, including 35 Tony Awards for productions that have transferred to Broadway, along with the 1993 Tony Award for Outstanding Regional Theatre. Balboa Park is a renowned urban cultural park that contains everything from gardens, museums, theaters, and the San Diego Zoo! With 15 different museums,16 gardens, and 4 theaters. 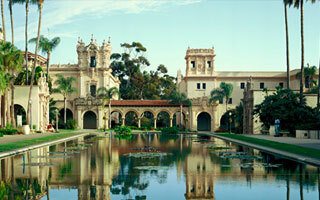 Balboa Park definitely offers various activities that will cater to you and your family’s interests. 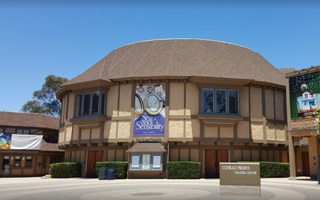 Internationally acclaimed, Tony® Award-winning Old Globe is one of the most renowned regional theaters in the country, and has stood as San Diego’s flagship arts institution for over 75 years. The Old Globe produces a year-round season of 15 plays and musicals on its three stages, including its highly-regarded Shakespeare festival. A full lineup every summer, be sure to check out the Old Globe when you are in town. Make sure you reserve tickets ahead of time or you might show up to a sold out show! See the website for details or call (619) 23-GLOBE (234-5623) for more information. 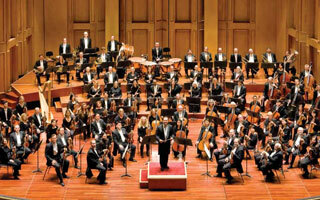 This award winning symphony holds annual Summer Pops outdoor concerts right on the San Diego Bay! Located right below your La Jolla Shores rental is La Playa Gallery. This small gallery carries a large variety of mostly local artists. This is a must-see on your La Jolla vacation. 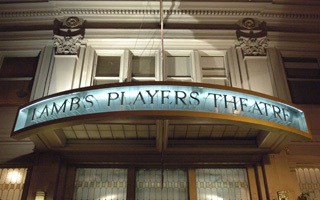 Lamb’s Players Theater is a great venue. It offers so much more than great live theater. Drive across the famed Coronado Bridge for a rare birds-eye view of downtown San Diego, the ocean, Point Loma, and the Hotel Del Coronado. Before the play begins leave enough time for dinner in the village of Coronado. Enjoy a lovely indoor/outdoor dining experience. Coronado has several. They are all mostly nestled around the theater. After dinner, enjoy the best of what this seasoned boutique theater company has to offer. It’s all good. At intermission indulge your sweet tooth in cookies and brownies. Or if you arrived late, indulge yourself and guests in a glass of wine. They also offer sandwiches. If you’re new to the area, you’ll love Coronado. It’s walkable with easy access back to the Coronado Bridge for your return to beachy-comfortable La Jolla Shores.